JNTUA 1-2, 2-2, 3-2 Time Tables 2018: JNTUA B.Tech/B.Pharmacy 1st Year, 1-2, 2-2, 3-2 Sem (R15, R13, R09) Supple Exam Time Tables December 2018, jntu anatapur b.tech and b.pharmacy Supplementary end examination time tables 2018. 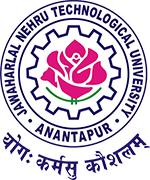 JNTU Anantapur has announced B.Tech/B.Pharmacy 1st Year, 1-2, 2-2, 3-2 Semesters Supplementary Examination Time tables December 2018. Students can Download their time tables form JNTUA official website http://jntua.ac.in. As Per the Time tables, JNTUA B.Tech 1-2 sem (R15) exams are held from 18-12-2018 to 28-12-2018, B.Tech 2-2 sem (R15, R13, R09) exams are held from 17-12-2018 to 29-12-2018, B.Tech 3-2 sem (R15, R13, R09) exams are held from 18-12-2018 to 02-01-2019. When would be the r15 2-2 supple results announced?? ?